I have a huge compost pile at the back of my vegetable garden. I am committed to organic gardening and try not to use any chemical fertilizers or pest control. Composting allows me to add some organic matter to my garden, but often needs sifting. 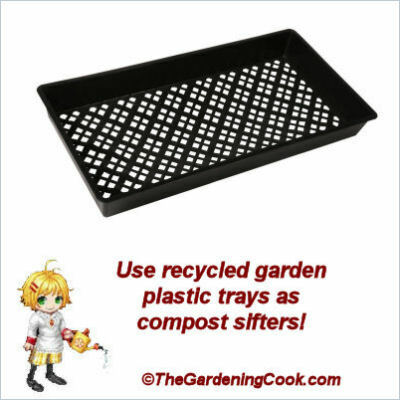 Instead of buying a compost sifter, I made my own DIY Compost Screen by using common plastic garden trays. My pile is done with the rolling compost pile method. I find it easier than bins and piles that need to be turned conventionally. When the compost has broken down and is ready to use for my vegetable garden, it might need screening. 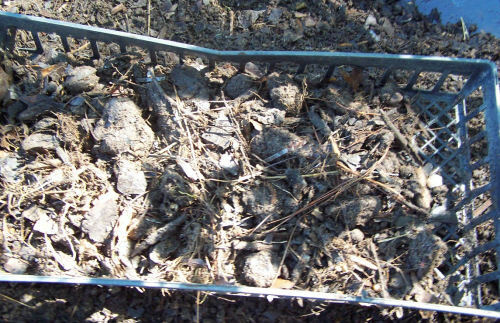 Often, compost will still have some bits and pieces in it that have not broken down and will need to be screened. 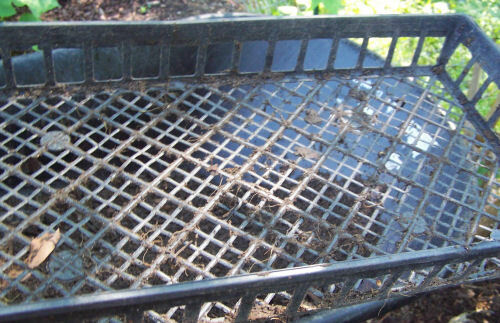 There are lots of ways to do this, but one that is easy, costs nothing and works well is to recycle old plastic garden trays as compost screens.When you go to a garden center and buy trays of plants, they will often put them into black plastic carry trays which have holes in the bottom. They make perfect compost screens. Now, they will not last forever, since they are lightweight, but I can manged to screen several wheelbarrows full of compost before they start to break down on the sides. When they do, I put one with a fine screen inside a larger one with bigger holes and start again. Eventually, they break, but by then I have been back to the garden center and have more waiting. The plastic tray is ready for adding compost sol that it can be screened. I just dumped in a large amount of compost, held it over my wheel barrow and gave my arms a good workout by shaking it back and forth. The finished compost is ready to add to my garden. This load of compost was just filled with earth crawlers. They love my compost pile! 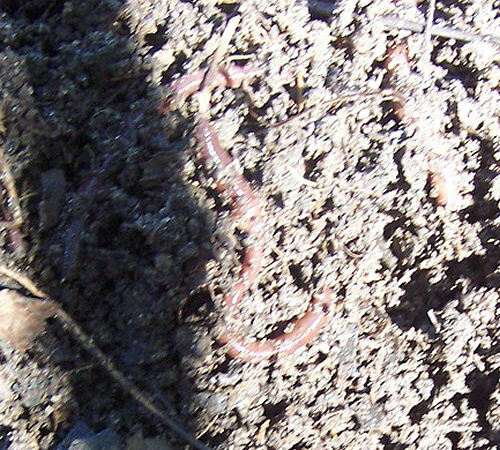 The worms love my compost and they will help to aerate the soil. My project for next year is to have hubby make me this nifty screening gadget that I discovered on YouTube. Fingers crossed. Until then, my DIY Compost screen will work just fine! How do you compost? What is your favorite method? Please leave your thoughts in the comments below. 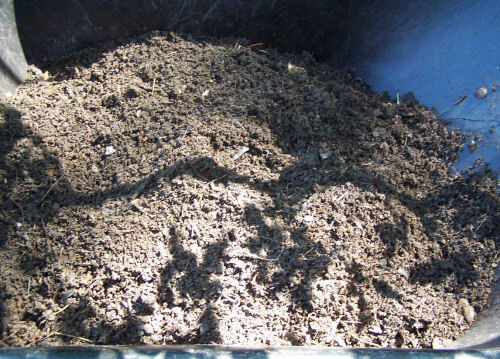 12 things you should never compost.